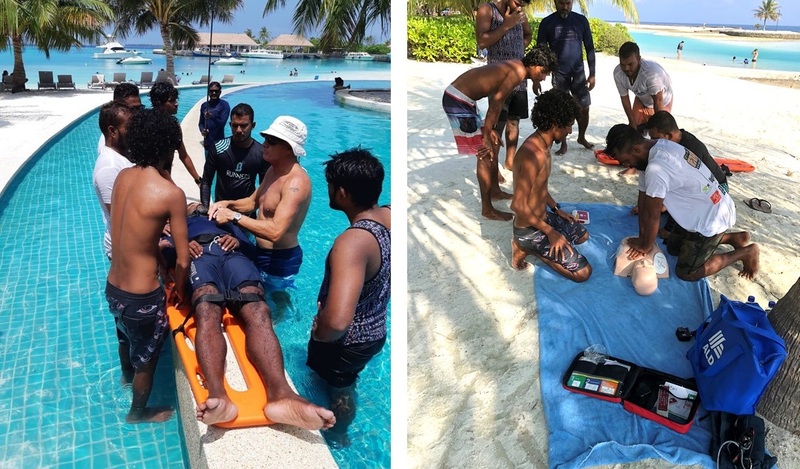 My time here at Kandooma Resort is coming to an end after a very successful week of training, 17th – 24th Feb 2019. 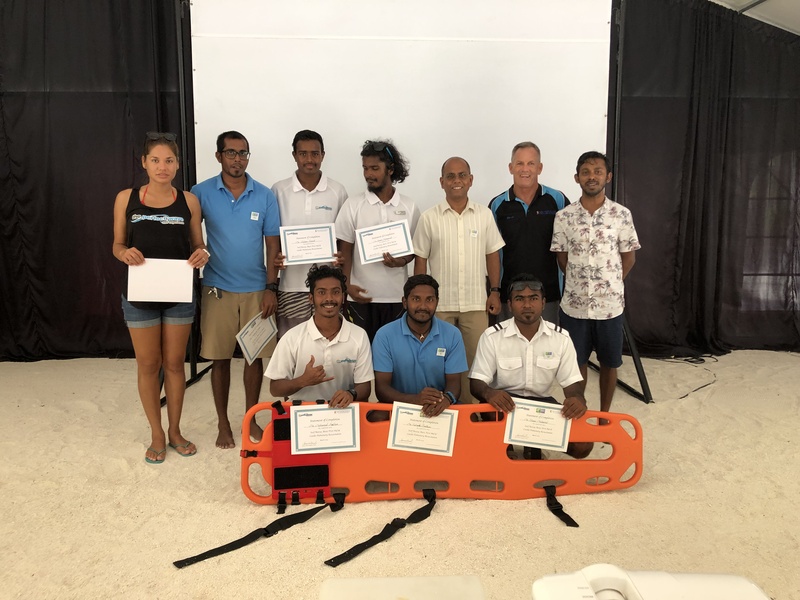 It was great to have the opportunity to again do the training for The Perfect Wave following our successful course run last year at Cokes Surf Camp. 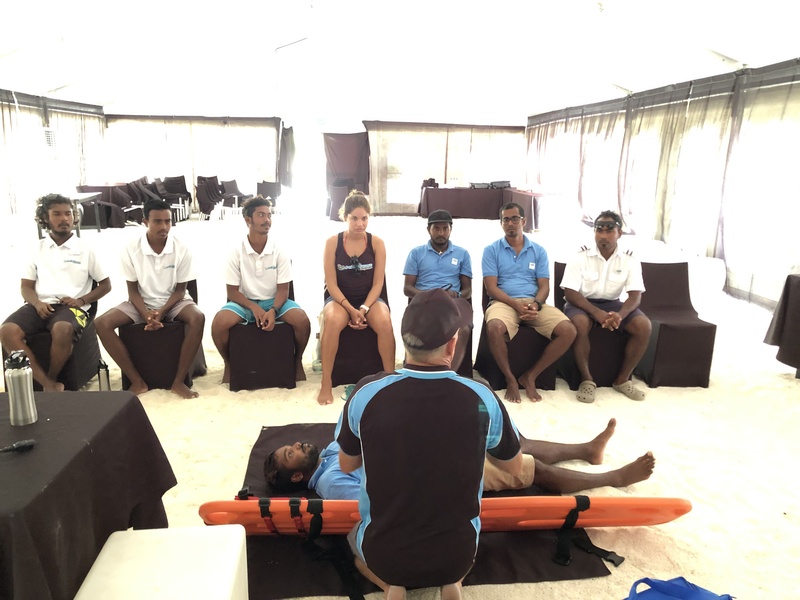 This year’s course was co-jointly run between The Perfect Wave and the Holiday Inn’s Hotel Group at the amazing Kandooma Resort and included Surf Guides and Resort Water Safety and Security staff. 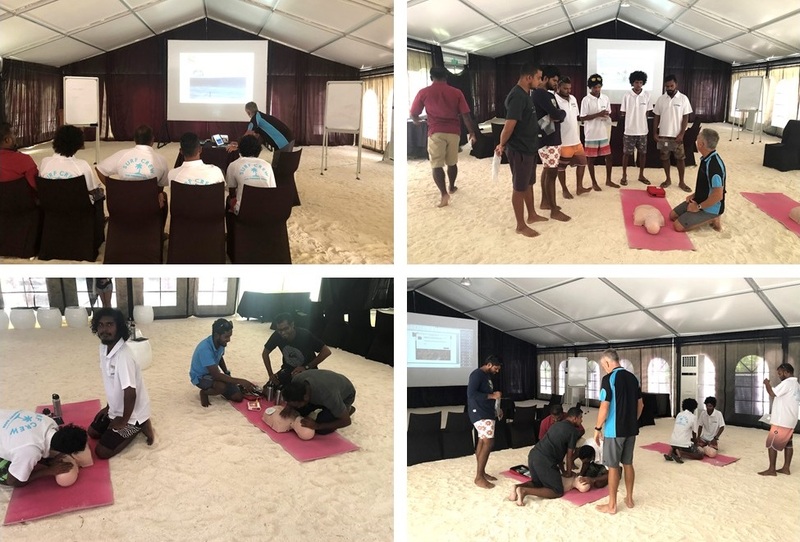 Over the course of the week the fourteen students were broken into two groups of seven and the course participants received in-depth training consisting of a slideshow on surf guiding, a theory and practical component on First Aid/ CPR/ Automatic Defibrillation (AED). 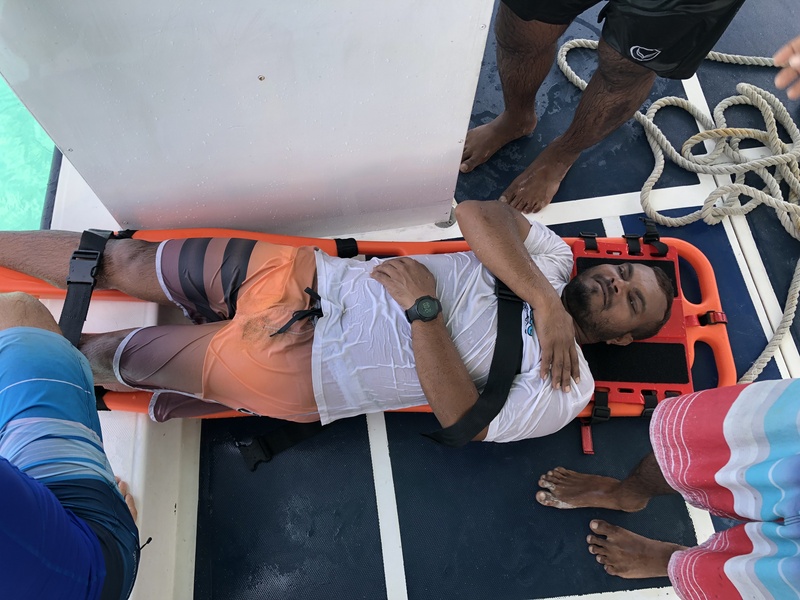 On completion of this they participated in real life scenarios of injuries and incidents. Our final aspect of the training was on all aspects on water rescue. 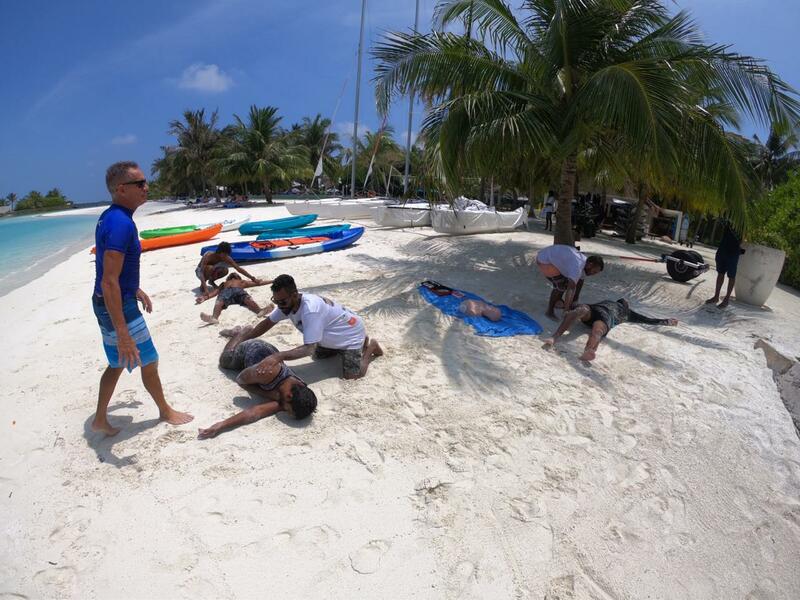 Over a period of two days with the assistance of Mr Shahid (Resort Water Operations Supervisor) and Ahmed “Martey” Mauroof (Senior TPW Surf Guide) both highly experienced water men, the students were hands on training doing surfer/swimmer rescue, patient retrieval and transfer into and onto various types of boats, the ocean and resort pools. 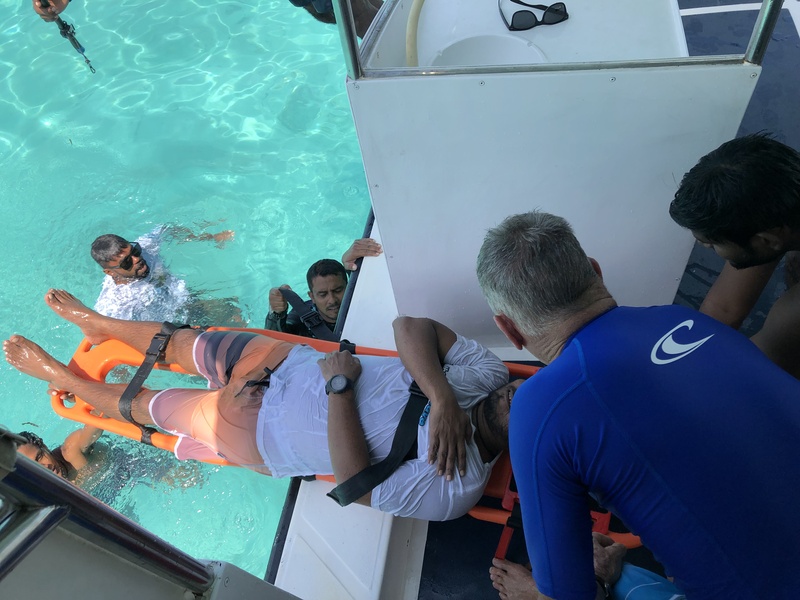 This was again combined with real life scenarios of surf, ocean and pool injuries and immersions resulting with patient CPR/Defibrillation. Over the week all 14 students excelled in their training and knowledge gained to take back into their specific fields. 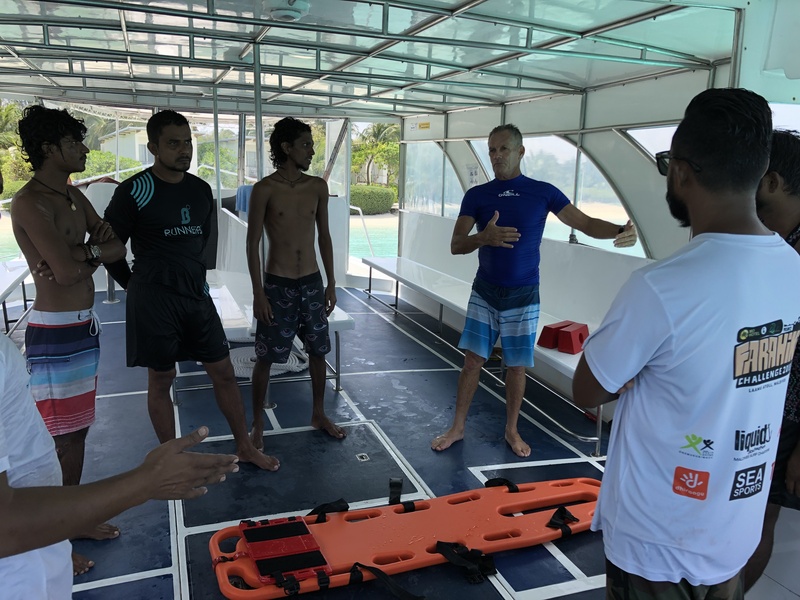 During our week, various resort department heads including the acting General Manager observed all aspects of the training and were greatly impressed with the training and enthusiasm shown by the students. At the end of each course, prior to handing out of the course completion certificates, Mr Shahid (Acting GM) spoke in-depth about our training and the students commitment to improving guest safety which gave me great satisfaction in knowing our courses were well received. 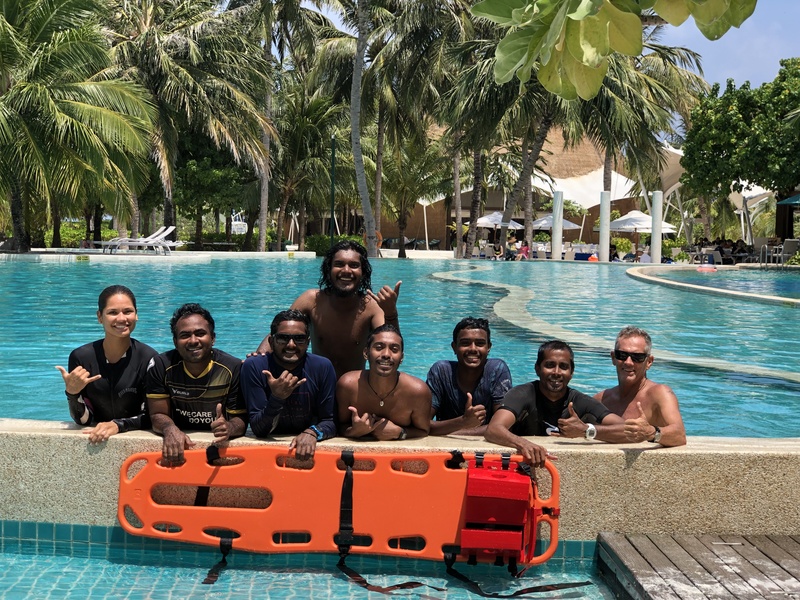 For us at Aable training, our goal is to improve safety of staff and guests in the travel industry so it is great to work with companies like The Perfect Wave and Holiday Inn’s Kandooma Resort who are so proactive in there quest for improving guest safety. Many thanks again to Jamie and Lars and we look forward to continuing our association with The Perfect Travel Group.